If you travel on a package holiday to Santorini you will probably stay in Fira, Firostefani, Imerovigli, Kamari, Perissa, Perivolos or Vlychada. If you travel independently you will naturally arrange your accommodation by yourself, and it's as easy as pie. Choose Fira or Oia if you want to have some hustle and bustle and to be close to the caldera. If you want to stay close to a beach, you have many options, the largest range is in Kamari, Perissa and Perivolos. 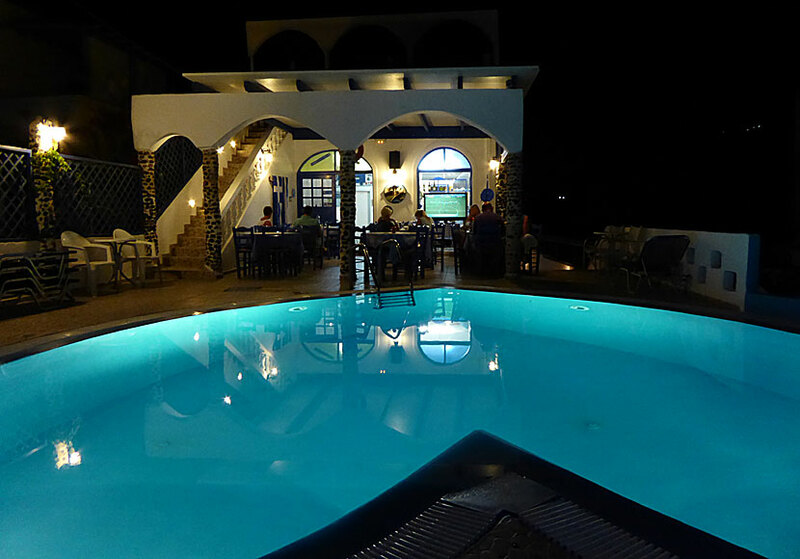 We always stay the Honeymoon Beach Hotel in Perivolos.